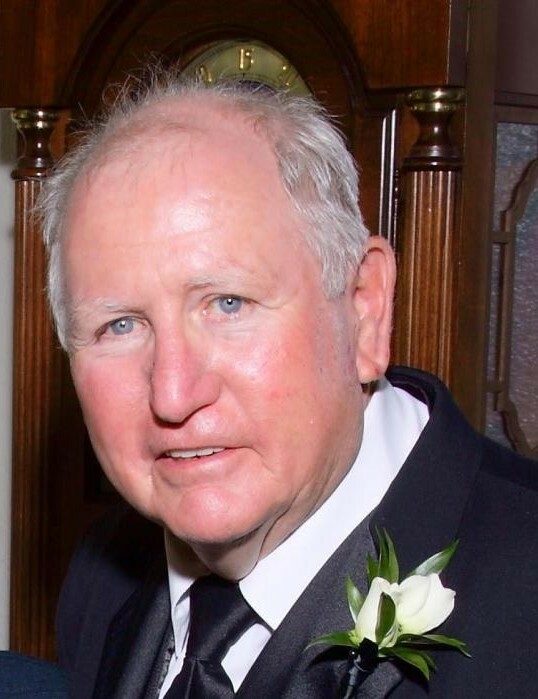 It is with deep and heavy sadness that we announce the death of John J. Nicholson, 75, who passed away peacefully in his sleep on December 1, 2018 after a hard-fought battle with Parkinson’s disease. John was born in Chicago in 1943, and spent most of his life prior to retirement there. He joined the Army in 1961 and was stationed in Frankfurt, Germany as part of the 92nd Transportation Company. After leaving the military, he married his loving wife of 53 years, Carole Tauscher, on his birthday, September 4, 1965. John’s entrepreneurial spirit enabled him to open several successful businesses and work in numerous positions related to trucking and transportation, finally landing in Snow Operations for O’Hare airport in 1993. In his spare time, he repaired and restored cars, with his favorite being a 1938 Ford, which he spent several years restoring. His love of cars carried into daily life, where it wasn’t unusual to come home to a different car than what he left with that morning. John also had a lifelong love of the outdoors, with numerous incarnations of boats and RV campers, affectionately referred to as the “house on wheels” by his beloved granddaughters. After retiring in 2004, John and Carole made the RV lifestyle their full time enjoyment and traveled across the country, later making Branson, Missouri their permanent home base. They continued to travel and enjoy their family and many friends, until he was forced to slow down due to his health. John is survived by his loving wife of 53 years, Carole (nee Tauscher), his son, John Michael, daughters, Anne (Christopher) Nash, Jennifer (Brian) Fulbrook, granddaughters Morgan, Hannah and Kaela Nicholson, their mother Mirta Nicholson and his brother Thomas Nicholson. Uncle to Jared (Brandi) Conway, Leslie (Steve) Smith and Carl Tauscher. He was preceded in death by his parents Robert and Bridget “Nan” (nee Murray) Nicholson; his infant son James; brother, Daniel Nicholson and sister, Margaret “Peggy” Nicholson.